How do “they” pick which weekend Easter is each year? And who are “they”? Anyways, Easter is super early this year, so I’ve been trolling Instagram for ideas to be prepared. 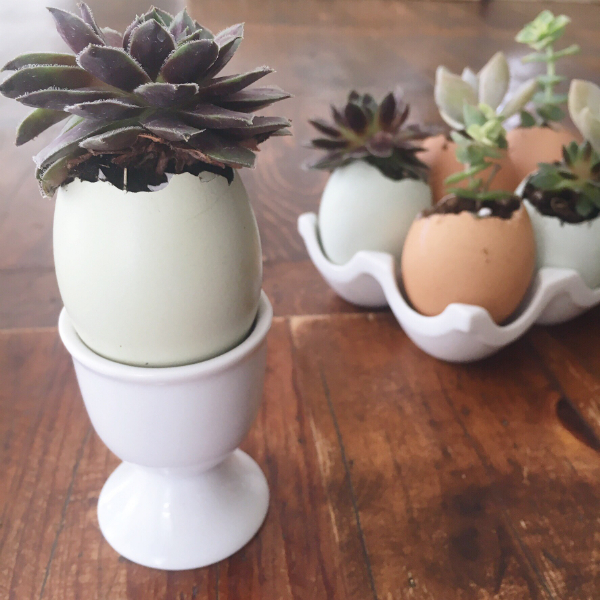 I found an idea for planting succulents…my current fave as I can’t kill them…in egg shells. And that got me thinking of those beautiful free range eggs that are naturally blue and varying shades of brown. I thought they’d look amazing planted. So, I Googled and found Coghlan Cottage Family Farm in Langley. They are a young family on an old farmstead raising chickens and pigs and have an farm shop that sells jam, tea towels and natural skin care and laundry products. And their chickens lay the most beautiful eggs! 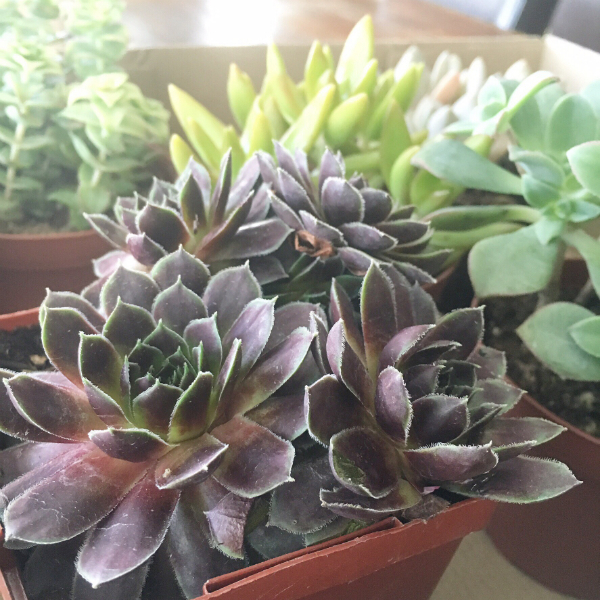 And I picked up succulents locally at Devan Greenhouses. 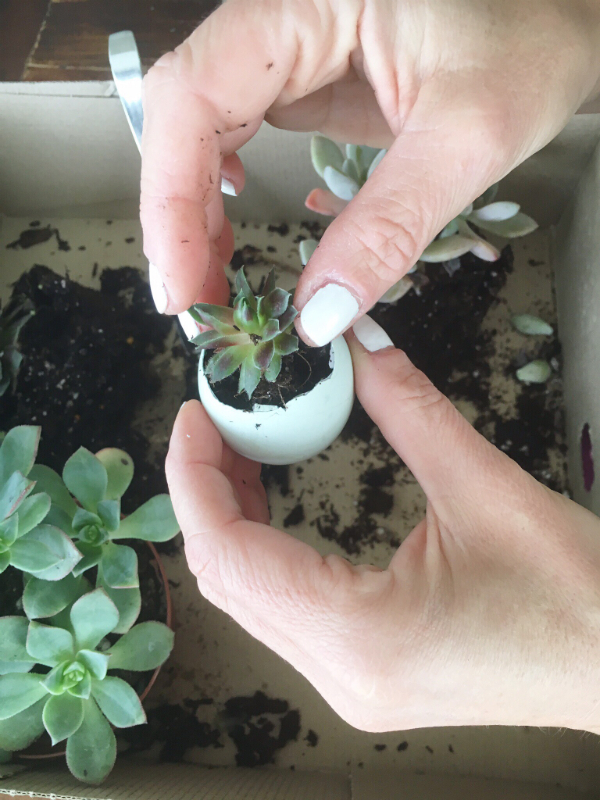 I wasn’t able to buy individual tiny succulents, so I bought larger ones and broke them apart. 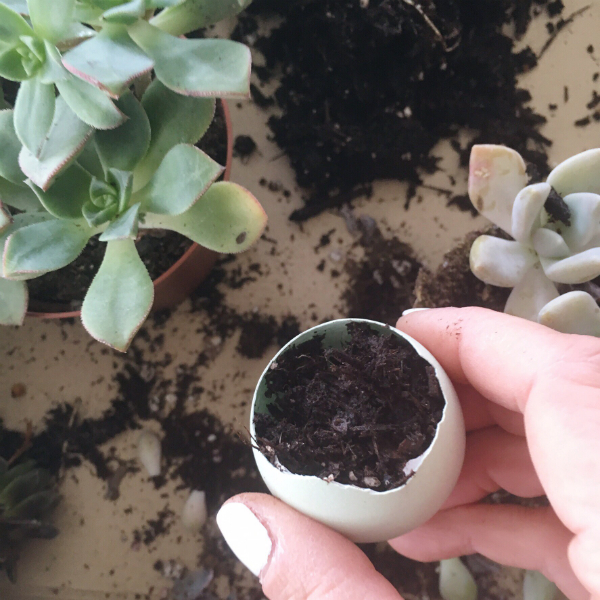 So, I am NOT crafty and don’t have a green thumb at all, but this is super easy!! 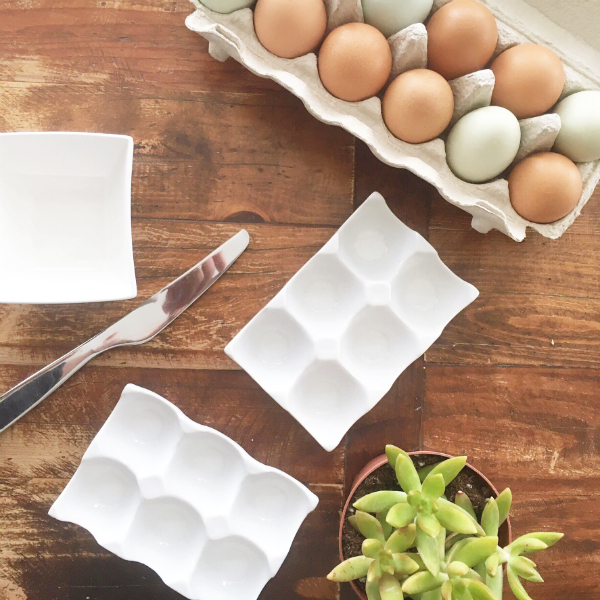 Get your eggs, succulents, a container that you will be putting the finished eggs in, a few bowls for the cracked eggs and shells and a butter knife. Use the back of a butter knife to gently tap the top pointy part of the egg where you want to create a crack. 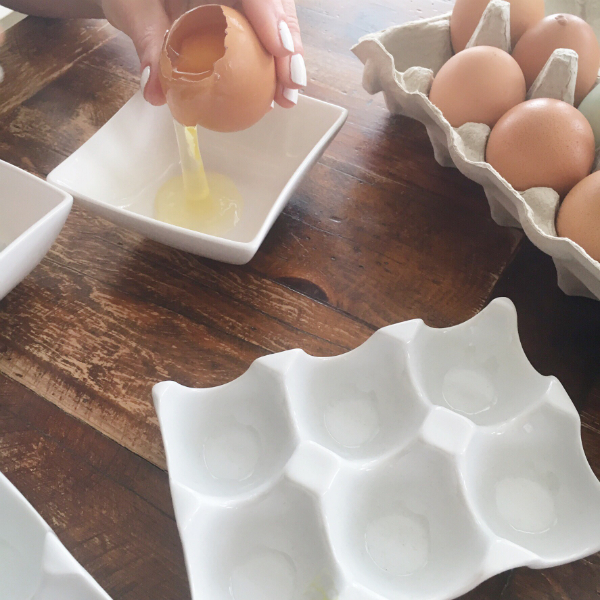 Once there is a crack, gently peel the shell to create an opening at the top so that you can pour out the egg. 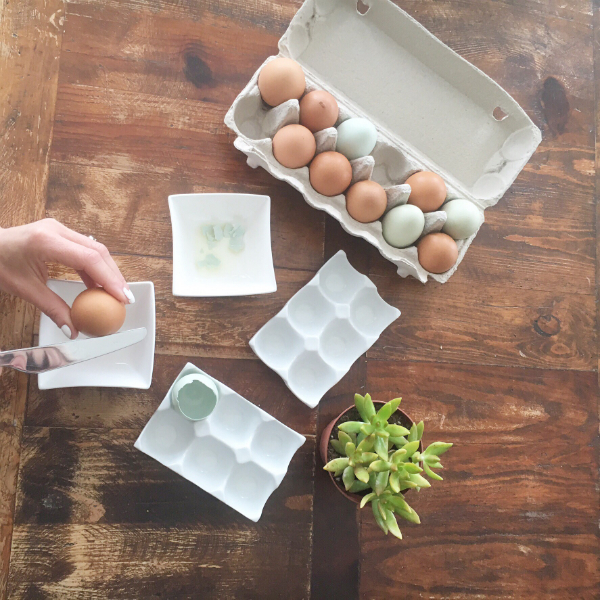 We ate some of the poured out eggs for breakfast and I also stored some in sealed containers in the fridge ready for tomorrow morning. 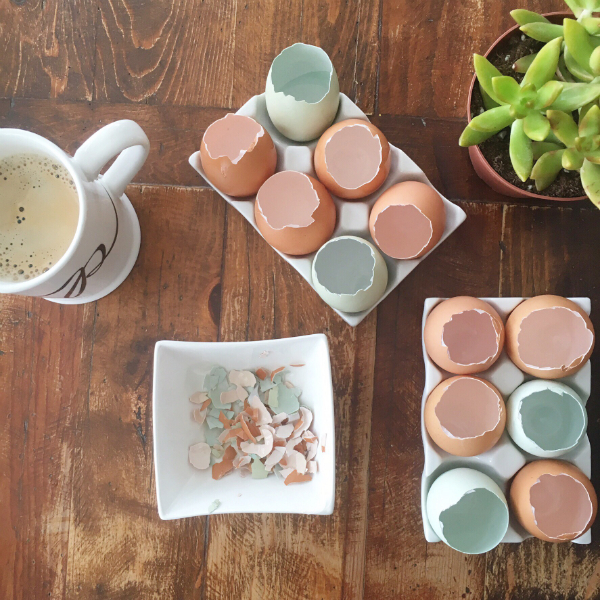 Add a drop of dish soap to each shell and rinse out with warm wet and set aside to dry…and enjoy a coffee! I honestly can’t get over the colors of those shells! Once the shells are dry, you are ready to start planting. 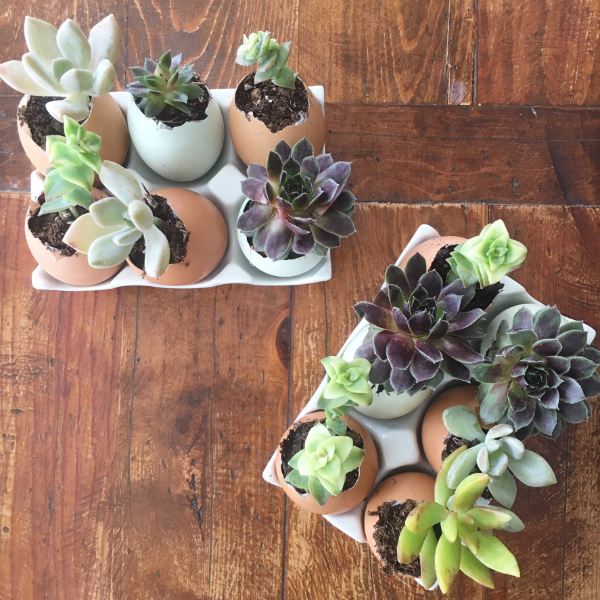 I was uber lazy and didn’t buy extra soil…I just broke the succulents aparts and used soil from the pots they came in. It’s easiest to use a teaspoon to put the soil in the shells. Add the succulent, place in a holder and spritz with a bit of water. 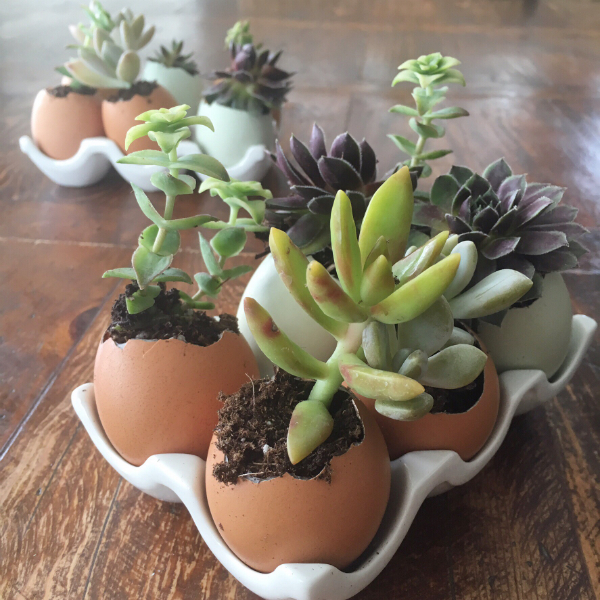 Succulents are very hearty and only require a wee bit of water about once a month…or these eggs maybe half a teaspoon each. They do like light, so keeping them close to a window is a good idea. 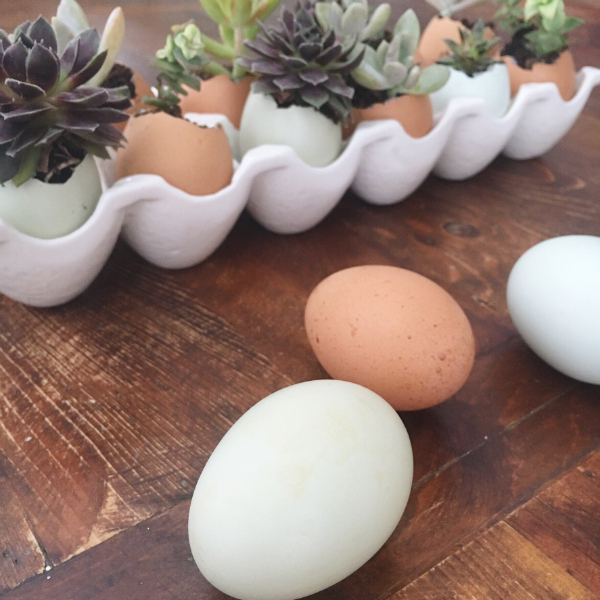 You can plant these now and enjoy them and they will stay beautiful for your Easter table. 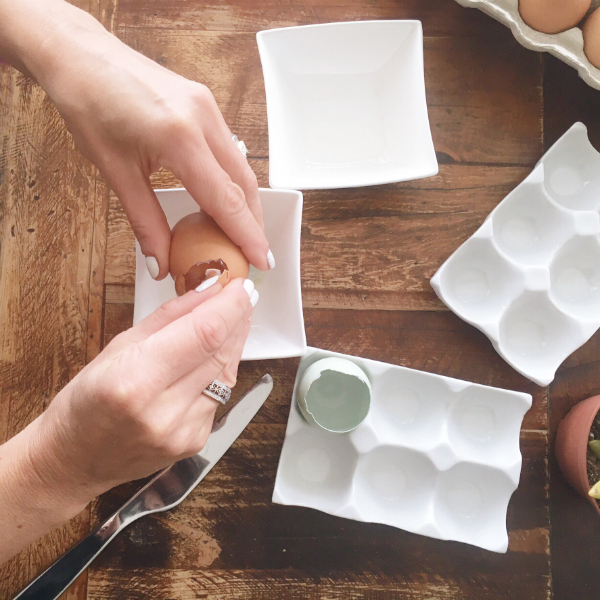 You will see these very soon as part of an Easter table that we styled in partnership with West Elm…watch for it next Monday.